After eleven days of films and fabulous parties on the French Riviera, the 69th edition of Cannes Film Festival has come to a close. Just in case you missed out, The Untitled Magazine has the lowdown on the most talked about films and the full list of winners. The big buzz this year goes to Ken Loach for his film I, Daniel Blake which collected the Palme d’Or, making Loach only the eighth filmmaker to receive the highly coveted award twice. He previously won for his 2006 film, The Wind That Shakes The Barley. I, Daniel Blake highlighted an issue that many people face today as it follows a disabled carpenter who connects with a single mother as they both try to navigate the British welfare system. The film premiered on May 13th with a red carpet that included the new face of Chanel #5, Lily-Rose Depp. Another surprising winner was the film Ma’Rosa, which garnered a best actress award for Jaclyn Jose’s portrayal of a mother who turns to drug dealing in order to support her family. Jose won the honor over more mainstream picks such as Isabelle Huppert, Kristen Stewart, Marion Cotillard, Sonia Braga, and Ruth Negga. 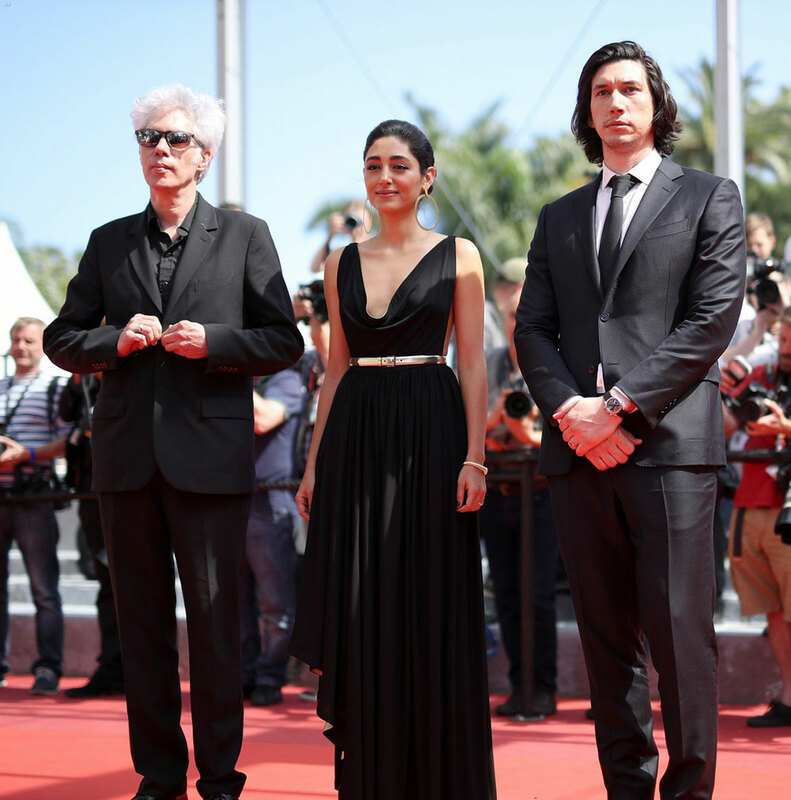 Notable directors at Cannes included Paul Schrader and Jim Jarmusch. Dog Eat Dog, Schrader’s latest film, is about ex-cons who become fugitives after botching a kidnapping. Director, Jim Jarmusch, pulled off an uncommon fete when premiered two films at the festival, although the subjects varied greatly. On May 16th, his film Paterson screened. It stars Adam Driver as a New Jersey bus driver who writes poetry in his spare time. Jarmusch’s second film Gimme Danger, had a midnight screening on May 19th and was a fan fueled biopic about Iggy Pop and The Stooges. It wouldn’t be Cannes without controversy! Although Woody Allen’s latest project, Cafe Society, opened the festival, the director was not immune to criticism. The film was deemed a moderate success but Allen himself was criticized for his alleged past behavior by ‘Women In Motion’ honoree, Susan Sarandon. She spoke negatively of him at a panel discussion. Another divisive decision was the Grand Prix award winner which went to director Xavier-Dolan for his feature, It’s Only The End of The World. While the Cannes panel loves Dolan (he won the jury prize in 2014 for Mommy), many critics hated the film which follows a young man who returns home after more than a decade in order to tell his family that he is dying. While the film got mixed opinions, no one could deny the magnetism of actresses, Marion Cotillard and Léa Seydoux, who walked the red carpet for the premiere on May 19th. Cotillard also starred in From The Land of The Moon, from Nicole Garcia. It was one of only several female-directed films at this year’s Cannes. Another entry by a woman, that also premiered on the 19th was Kitty, a short film by Chloe Sevigny. However, the most high-profile film by a female director had to be Money Monster by Jodie Foster. Although the film was not part of the competition it still generated a lot of buzz at the festival, especially when star, Julia Roberts, attended the film premiere on May 13th. She walked the red carpet shoeless, in a stance against last year’s footwear rules. Three more films that divided viewers and critics were American Honey, The Neon Demon, and Personal Shopper. American Honey is Andrea Arnold’s first movie set in America and scored the director her third jury prize. It stars up-and-comer Sasha Lane as a troubled teen who leaves home and soon encounters a journeying salesman played by Shia LeBeouf. The film had its red carpet premiere on May 16th where supporting star Riley Keough wowed in a yellow Gucci dress. The Neon Demon was one of the most buzzed about entries in the festival and is the latest offering from Drive director, Nicolas Winding Refn whose last Cannes entry, 2013’s Only God Forgives, received terrible reviews. While some were hoping that The Neon Demon would be his comeback film, the tale of a young model coming up in the dark world of celebrity was deemed a mix bag by many who felt that it was visually stunning but lacking in plot. It’s May 20th premiere was attended by Elle Fanning, Kirsten Dunst, and Bella Heathcote. Personal shopper was another much contested film. The ghost story from Olivier Assayas was booed by the audience but managed to garner the prize for best director (along with Cristian Mungiu for Bacalaureat). It stars Kristen Stewart who received praise for her performance as a personal shopper who can also communicate with her dead twin brother. Stewart attended the film’s red carpet premiere on May 17th. Something that every critic seemed to agree on was Sean Penn’s directorial effort, The Last Face, which was panned by critics and received boos and jeers from the audience. Although the movie was far from loved, something good did come out of the The Last Face’s red carpet premiere on May 21st: Charlize Theron rocking a suit by Dior Couture. Seong-Hie Ryu, for the artistic direction, with great inspiration, for the movie, MADEMOISELLE (The Handmaiden/Agassi) by Park Chan-Wook.